Originally from the Heidelberg region of Germany Helga Schnakenberg has been a part of the Edelweiss family since 1969. 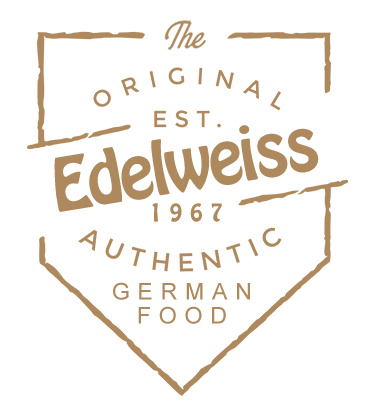 Using only the best fresh ingredients, the menu she has created is an invitation to visit Germany and taste all it has to to offer. Helga, her husband Gary, and their son Dieter will welcome you and make you feel at home. With its delicious German and continental fare, and unique atmosphere, you’ll look forward to returning again. The many and varied interior dining rooms will intrigue you; our walls are decorated with authentic German & Alpine memorabilia. Warm up on cold winter nights by one of three blazing fireplaces. Shaded by large trees and brightly colored umbrellas, the outside patio is perfect for dining during pleasant weather, frequently seen in Colorado Springs. The Biergarten is the perfect place for a hot meal and a cold German beer. On Friday and Saturday evenings, you can enjoy the music of strollingmusicians. If you don’t already feel transported to another place and time, let the music take you there! 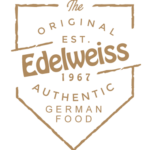 We can’t wait to see you, so come in to Edelweiss today for fresh taste of Bavaria! IMPORTED DRAFT BEER & WINE. Edelweiss is the perfect place for an intimate dinner or special party. our newly remodeled Ratskeller with it’s stone walls and cozy booths is the perfect party area for groups. Our east wing can seat up to 130 for those larger events. No matter the occasion, Christmas parties, birthdays, reunions, retirements, rehearsals or any other celebration, your visit will be a special one.